I could eat my chile tepins, but I’ll let the birds go first. They always know where to deposit seeds in those shady, psycho light spots where we’re wringing our hands about what to plant.They freeze back in winter but never fail to return, whether we get rain or not. By the way, chile pequins have a more tapered tip but are the same otherwise. Ladybugs also know where to lay their eggs to pupate. 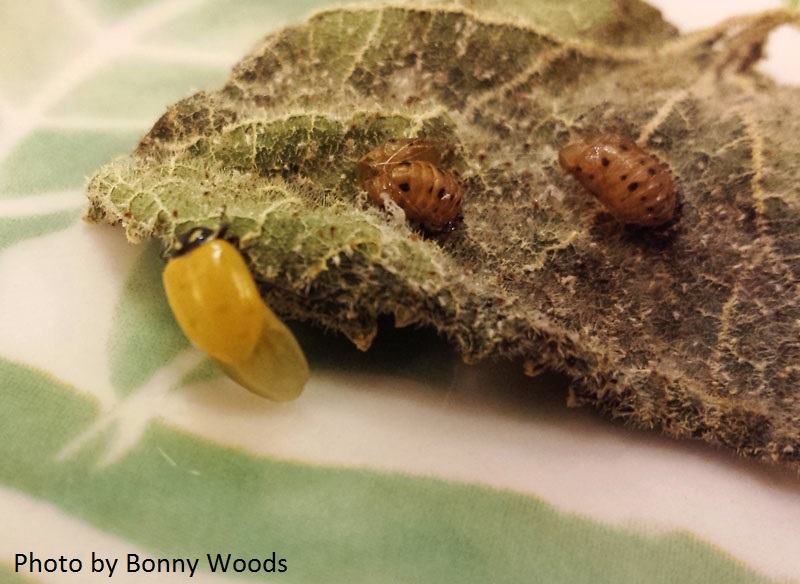 Viewer Picture of the Week goes to Bonny Woods, who recognized beneficial pupae on her watermelons. Garden photographers, this is a gem! Bonny captured the birth of this voracious youngster, still too young to have its spots. 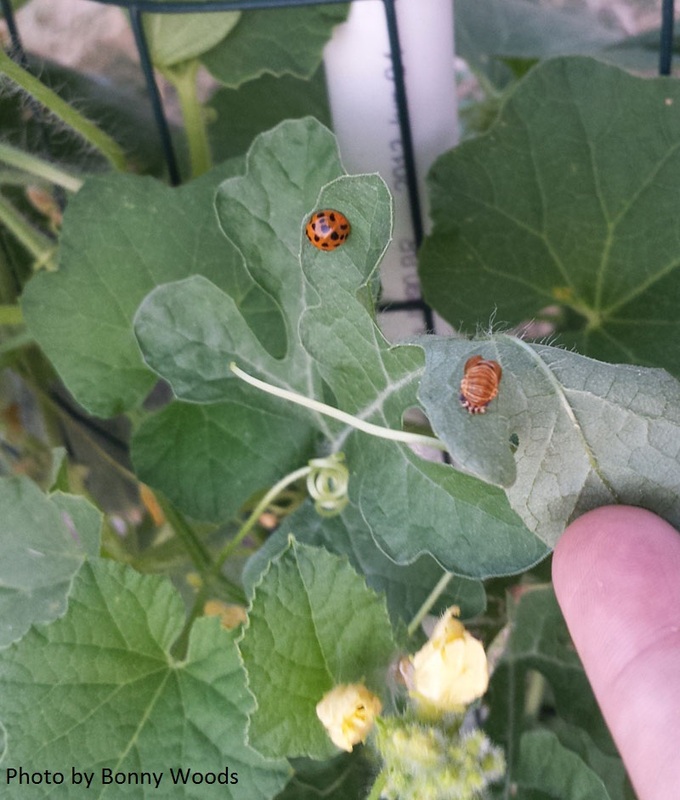 Aphids: beware! It’s another story when nature deposits unwanted tree seedlings. 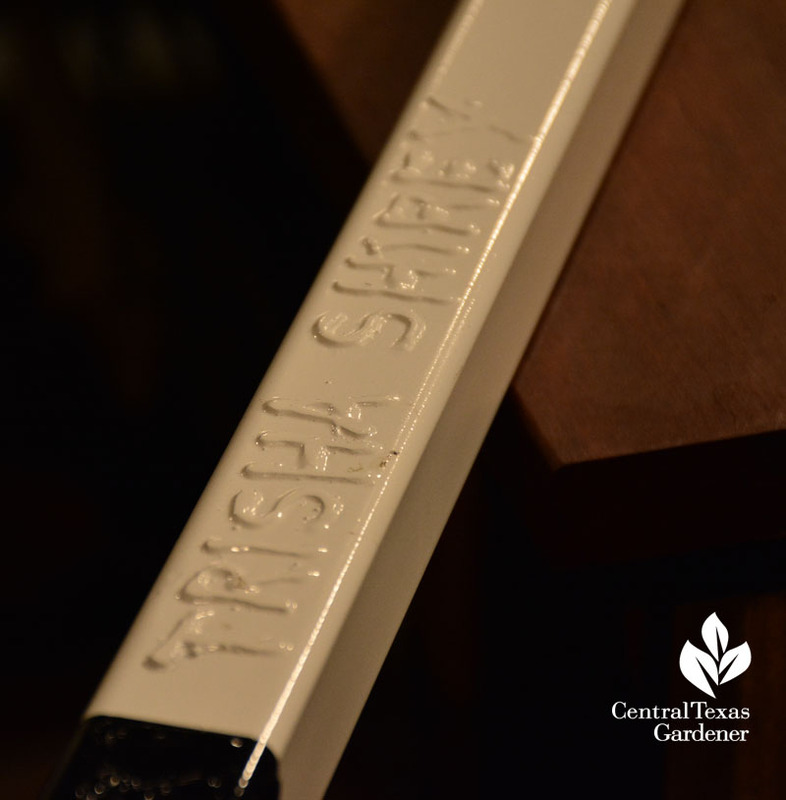 To spare us words our mothers wouldn’t like, Trisha comes to the rescue with two new tools. She pulled all this up in just 30 minutes before heading to KLRU. One is Lawn Jaws. Previously, she’s recommended plain old pliers, and that works, too. But these really grab on. I ordered them immediately and I agree. 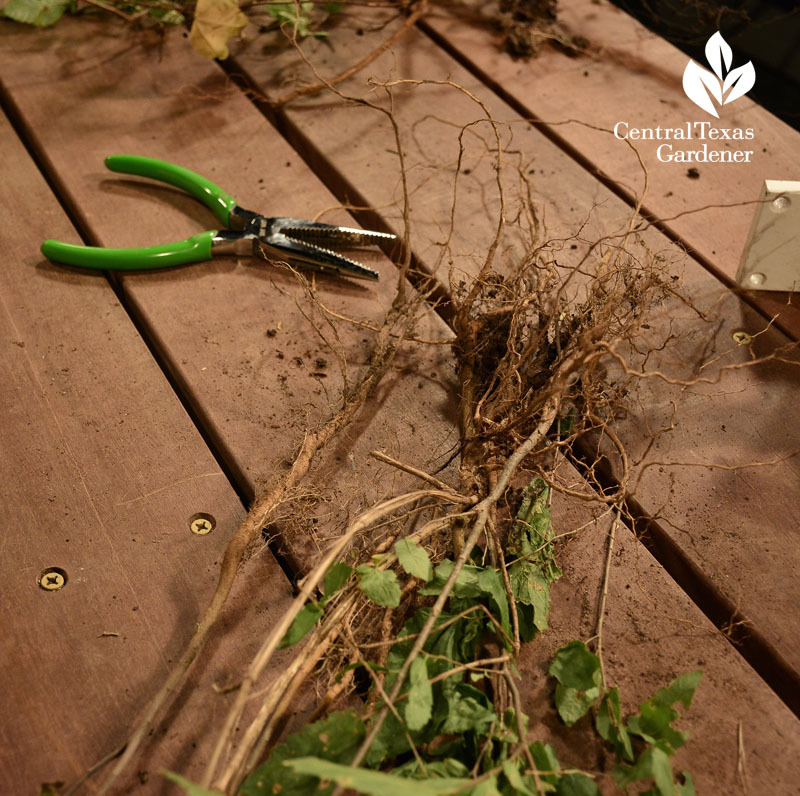 But as Trisha notes, it’s easier when the soil is moist, so head out after a rain. Pullerbear, for larger jobs, comes in various sizes. They’ll even weld your name on it. 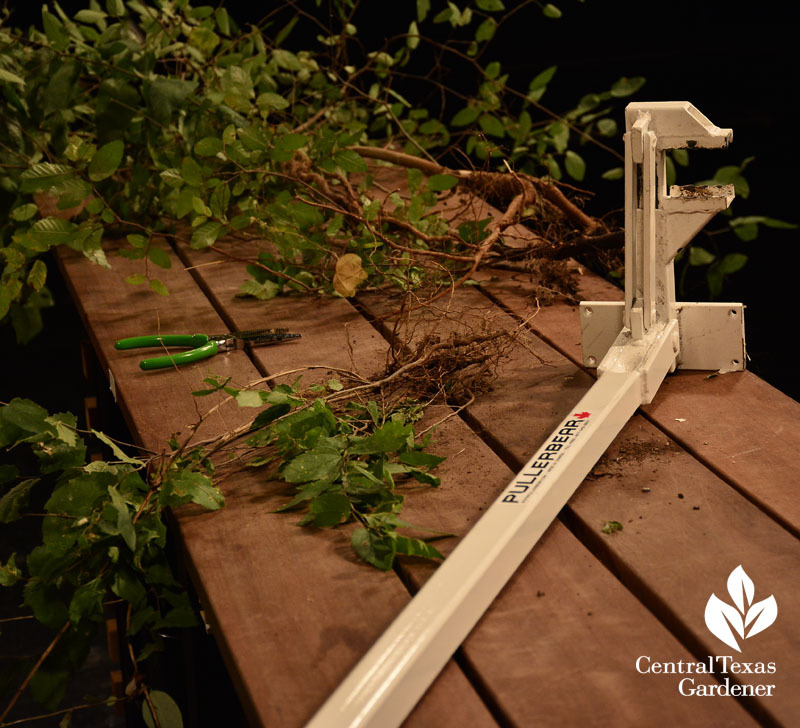 As we slide into sweeter weather, we’re pulling out neglected pruners and shovels, even as dormant muscles protest! Wildlife won’t protest if we include plants that are pretty to us and delicious to them. 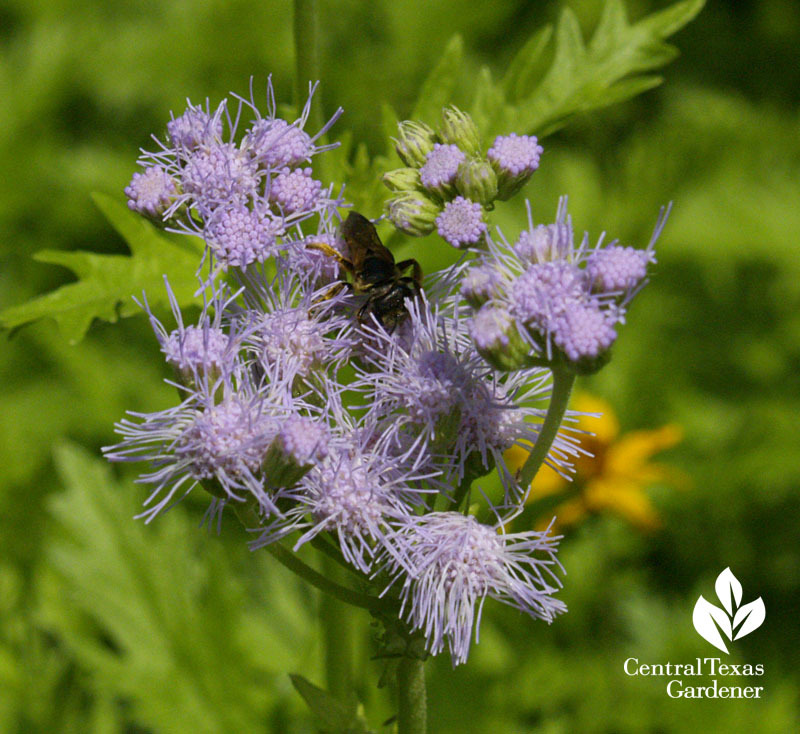 Eager bees scramble into Gregg’s mistflower (Conoclinium greggii) while butterflies magically appear to gracefully perch. But do we see the same thing as insects do? Andrea DeLong-Amaya from the Lady Bird Johnson Wildflower Center joins Tom to explain what insects detect. 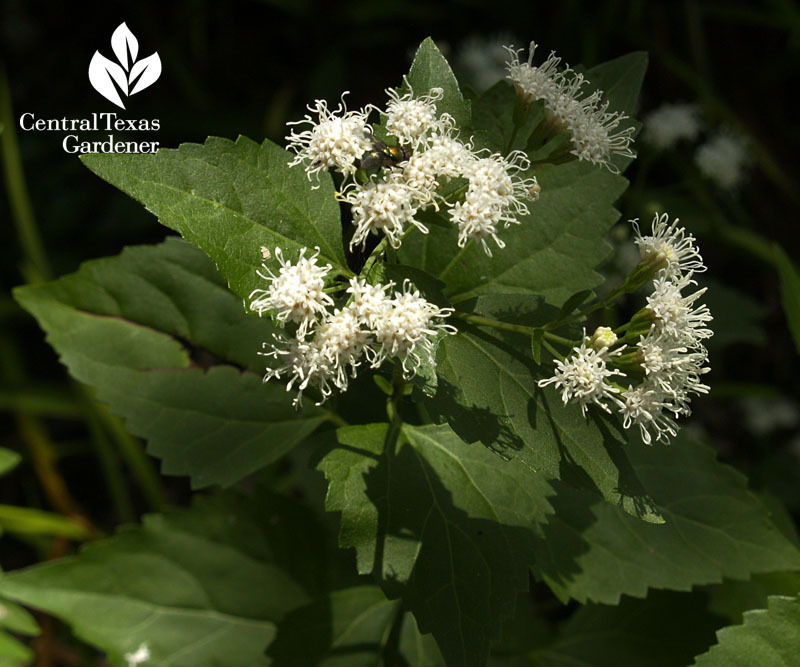 Many recognize white, like fall-blooming white mistflower (Ageratina havanensis). 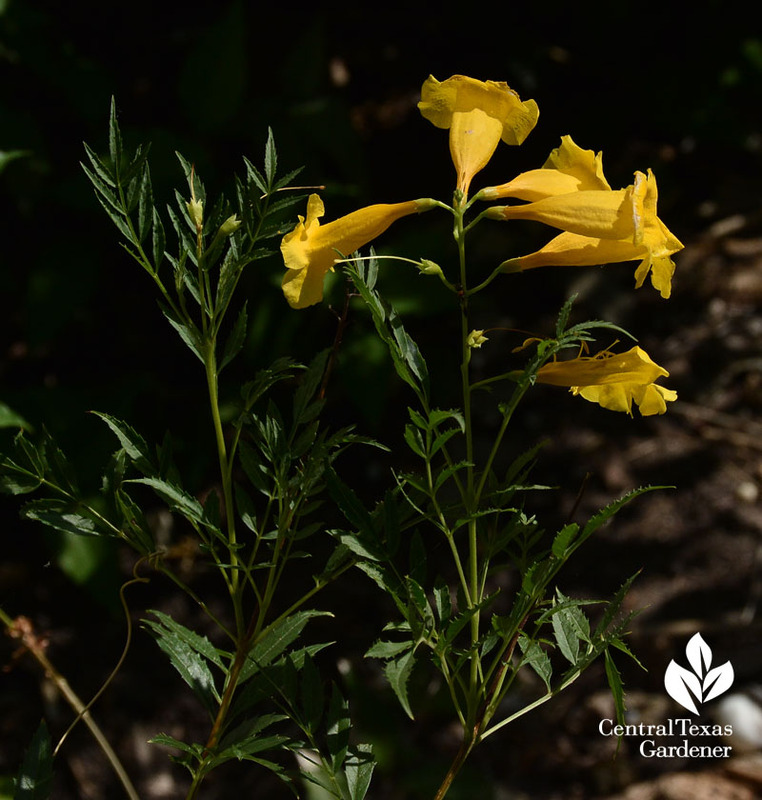 This one’s a reliable drought-tough perennial that accepts shade along with psycho light blasts of sunshine. Not only do insects see different colors than we do, they recognize runways to nectar that are invisible to us. 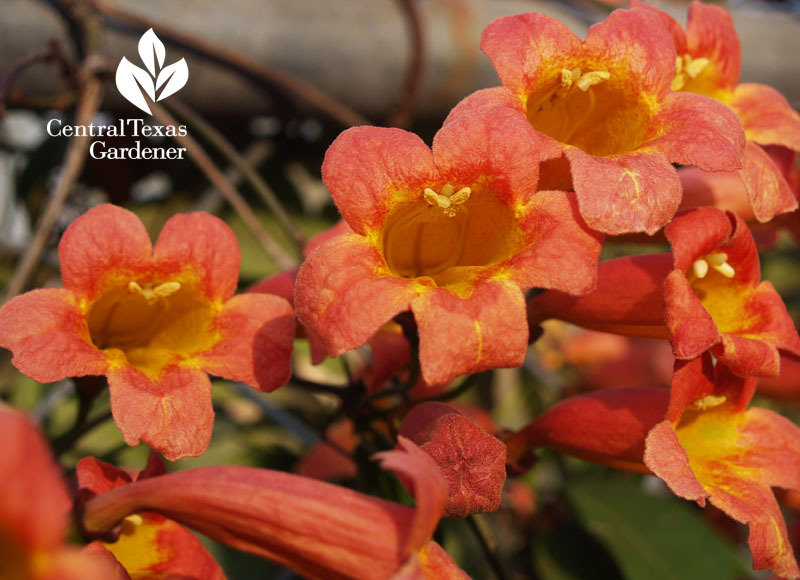 We just see pretty designs, like on perennial crossvine. They definitely have their “mouths” open for company; this shot makes me think of baby birds! 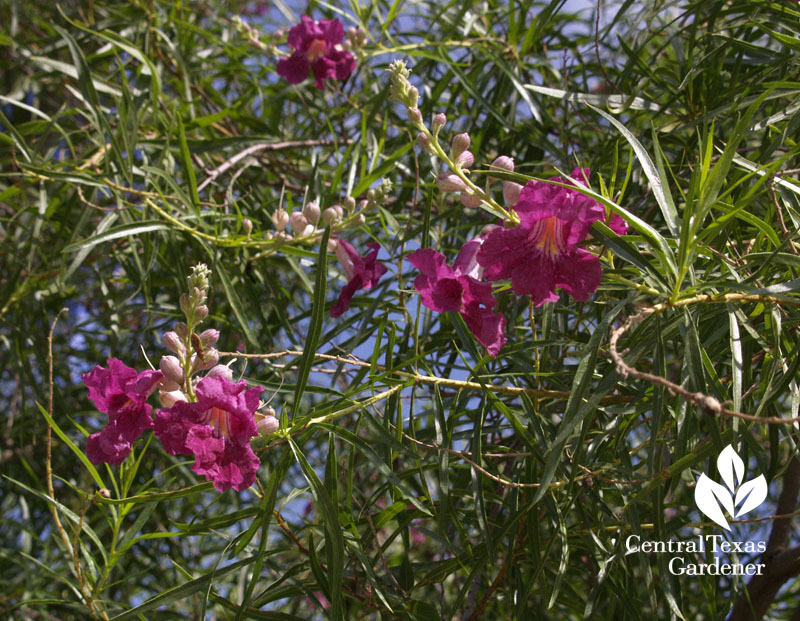 Hummingbirds dive right into desert willow runways in summer. This one is ‘Bubba’. As Andrea explains, flower shape and size are designed for the perfect fit to attract particular insects or birds. 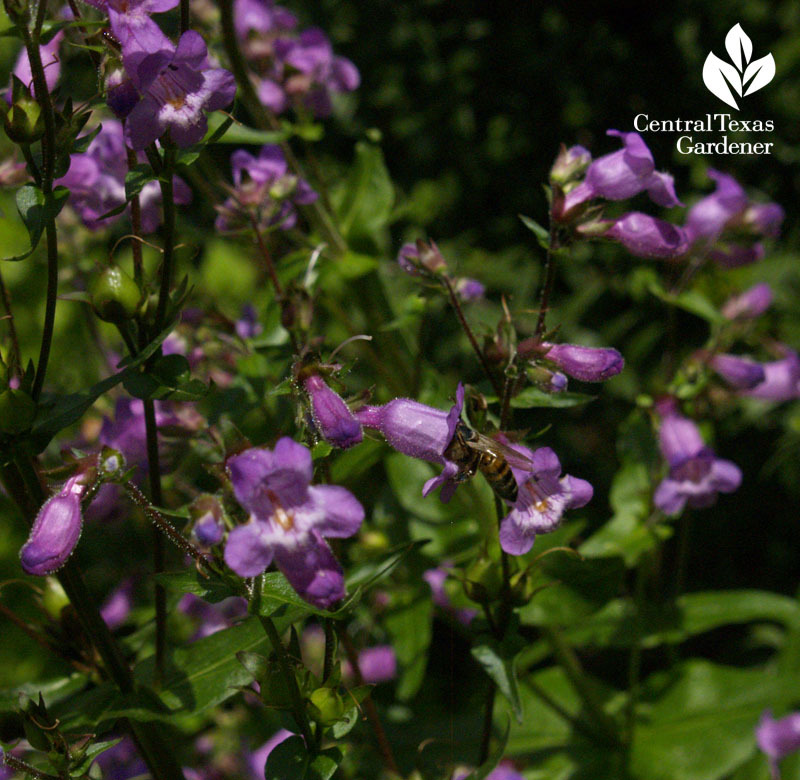 Spring-blooming perennial Gulf penstemon invites pollinators, butterflies, and hummingbirds. 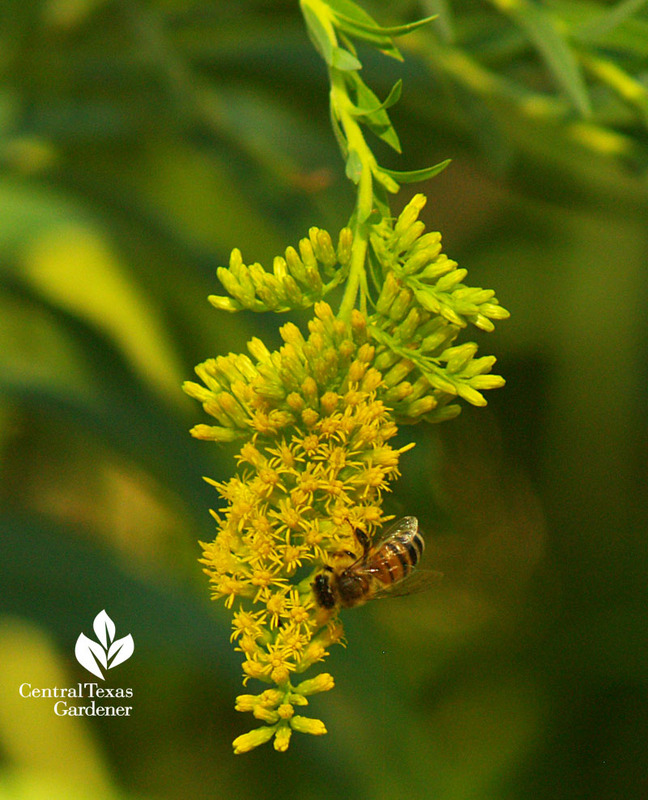 To keep our beneficial pollinators alive all year, give them food in every season. 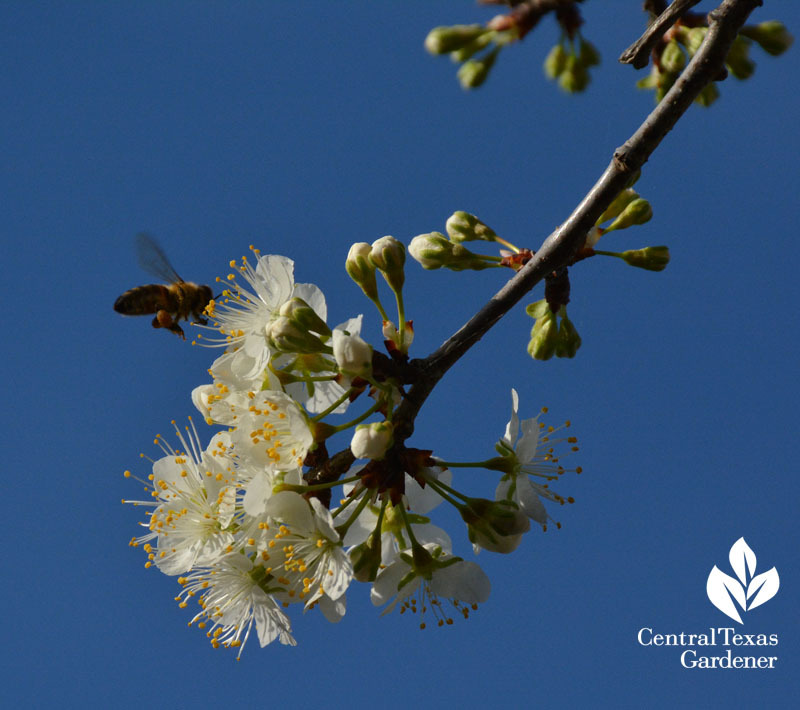 Late winter: Mexican plum supports bees and other small pollinators. 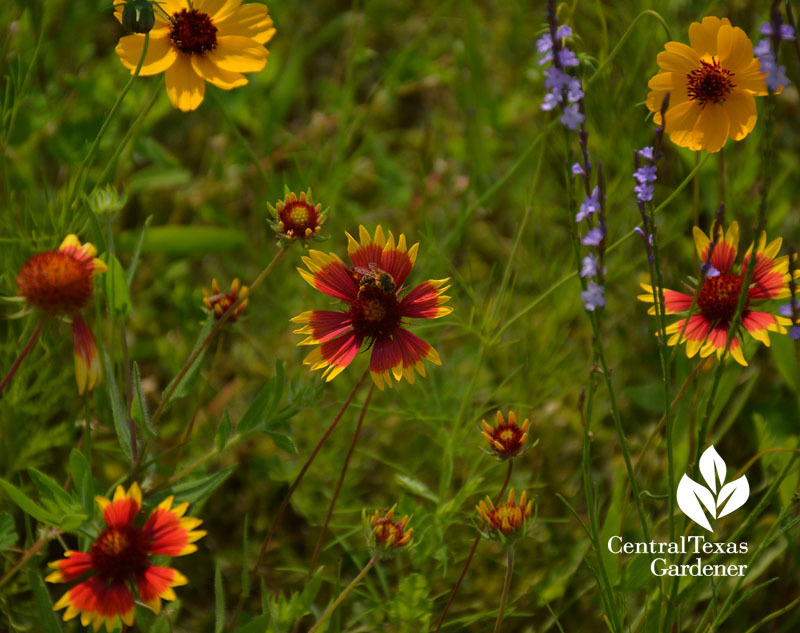 Spring through early summer: Indian blanket (Gaillardia pulchella). Summer: Tecoma stans. This is the native one, but the cultivar ‘Gold Star’ does the job, too. 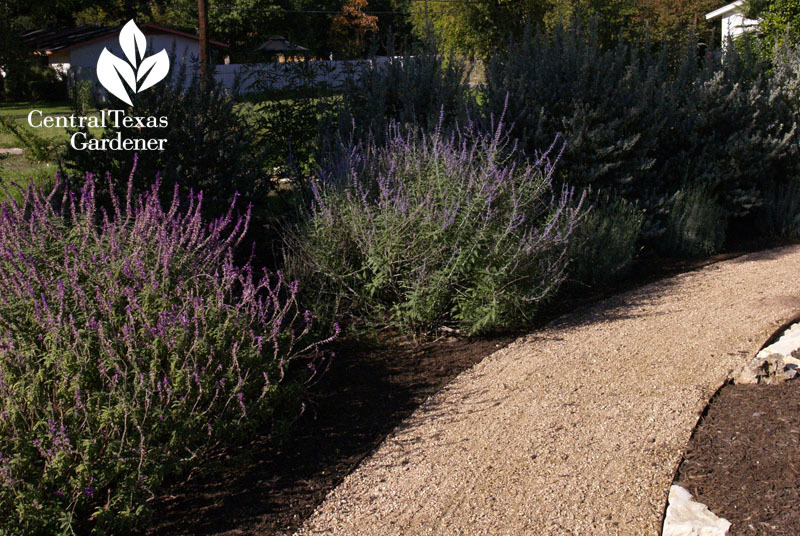 Get your own plants to grab those wildlife (whatever color works for you) at the Lady Bird Johnson Wildflower Center fall plant sale Oct. 11 – 12 (members on Oct. 10). But what happened to Christine Sills’ native prairie verbena in her drought defiant wildlife design? Daphne answers: rain bomb in May. 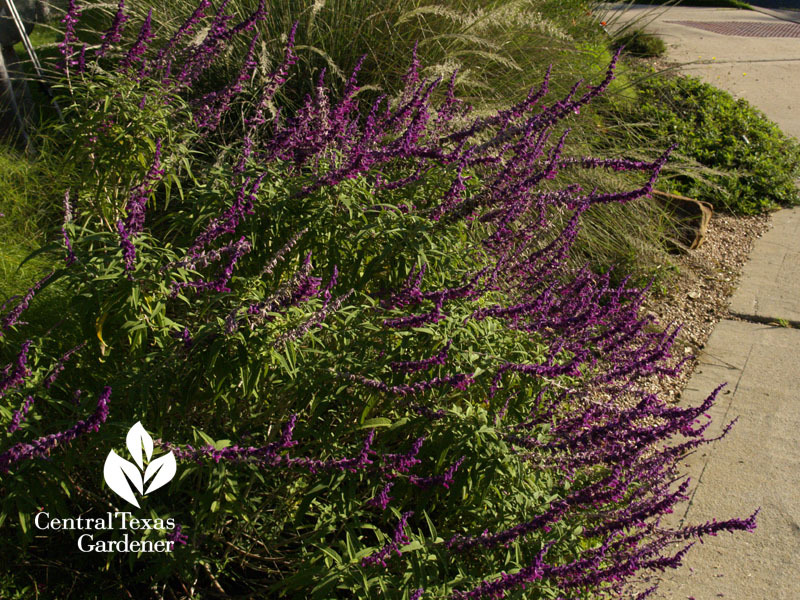 Mexican bush sage (Salvia leucantha), Daphne’s Plant of the Week, also likes good drainage, but does appreciate a little extra water in hot, dry summers. 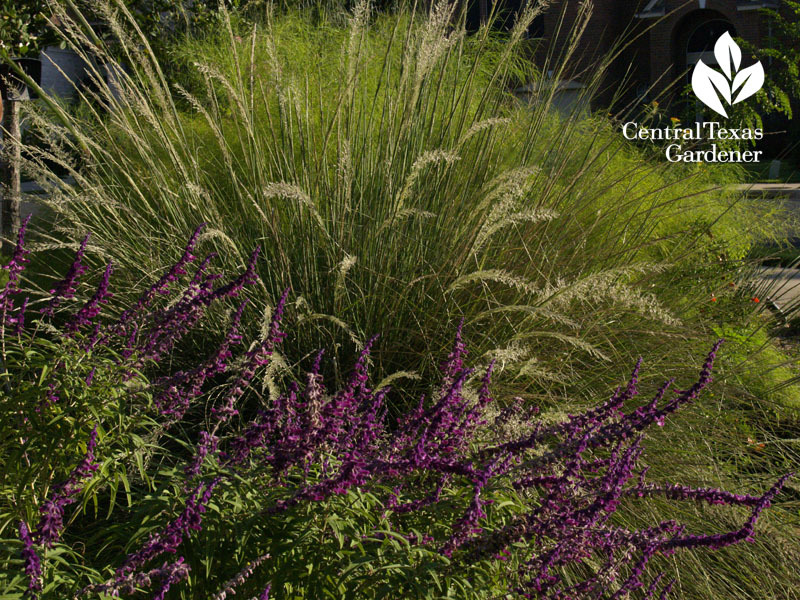 A delightful companion to grasses like Lindheimer muhly in Russell Womack’s design, its summer-to-fall velvety purple blooms attract kids, butterflies, and hummingbirds. Good news: it is deer resistant. 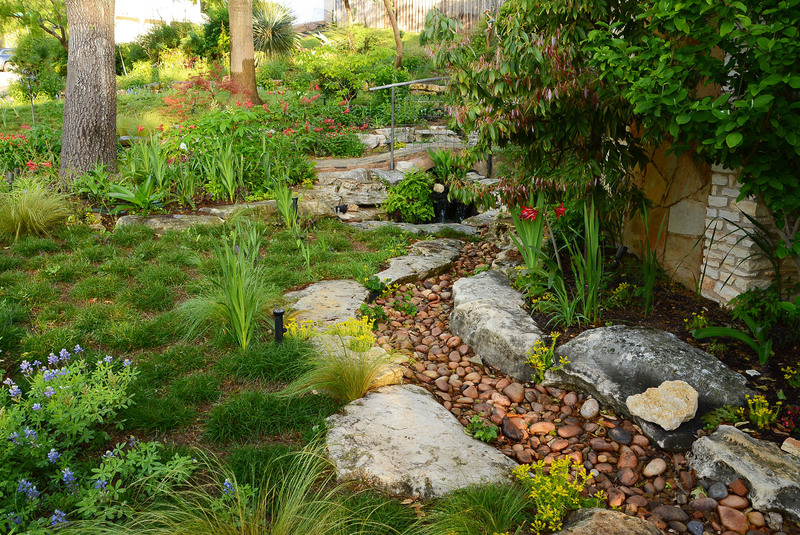 On tour in San Antonio, Xericstyle blogger and designer Heather Ginsburg swapped lawn for wildlife to hunker down on water use. 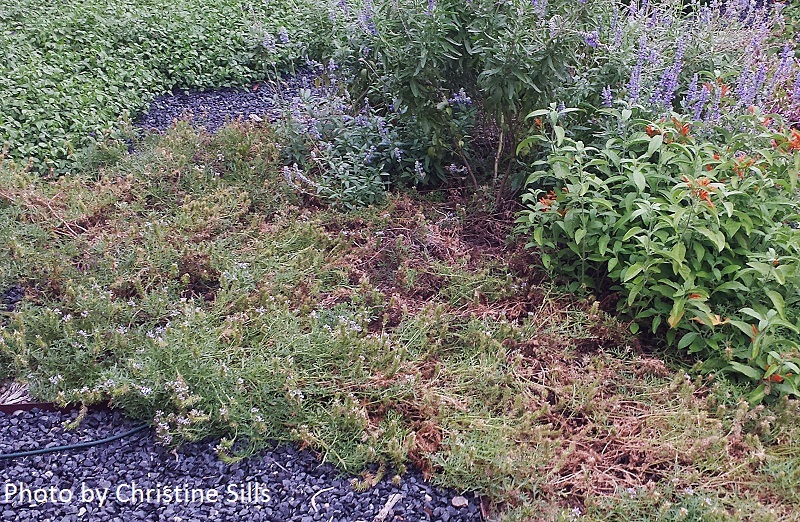 Husband Brett and their kiddos much prefer watching butterflies and bees on their Salvia leucantha and Russian sage to crunching through dead lawn.